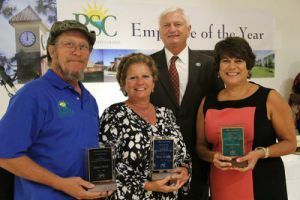 Pensacola State College recognized three Employees of the Year at a recent ceremony. Colleagues, friends and family filled the lecture hall in the new Charles W. Lamar Studio Gallery as PSC President Ed Meadows presented awards and called attention to the accomplishments of each honoree. Graves was praised as the unsung hero who never says “can’t be done” in response to a data request. Her ability to gather, organize and make sure that data is reported accurately was cited as essential to the success of ITS projects. 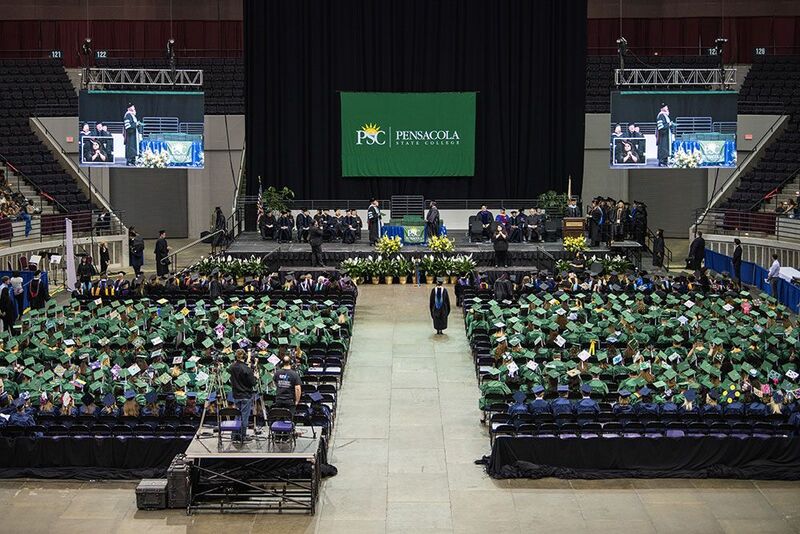 Although Taylor has been with Pensacola State less than two years, her knowledge and ability to explain college procedures have been invaluable to the accounting office. She is described as outgoing, friendly and having an outstanding work ethic, always giving her absolute best. Whether the task is large or small, Russell’s skill and ready smile have been an asset to the maintenance department for the past decade. He was commended for his loyalty in making repairs late at night and on weekends, his huge heart for students, and his helpfulness to everyone. Coordinating the 43rd annual employee recognition event were Human Resources Director Tammy Henderson and staff members Erandi Sanchez-Perez and Dykieria Stevens.